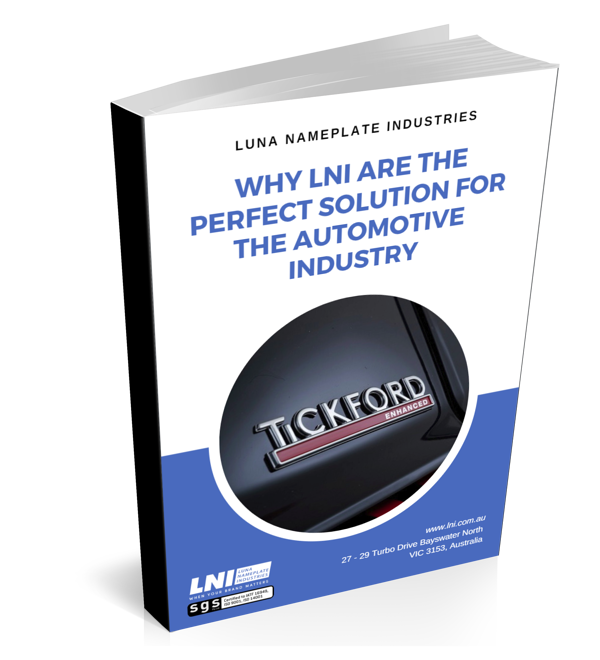 Download the free "Why LNI are the perfect solution for the Automotive Industry" eBook now. LNI has been a key supplier of branding solutions to Australia’s OEM and vehicle importer market for over 40 years. We are the specialists in designing, manufacturing and delivering chrome badge, nameplate and label products for all types of vehicle programs; from Limited & Special Editions right through to large volume production runs. After entering your details the eBook will be sent straight to your inbox.